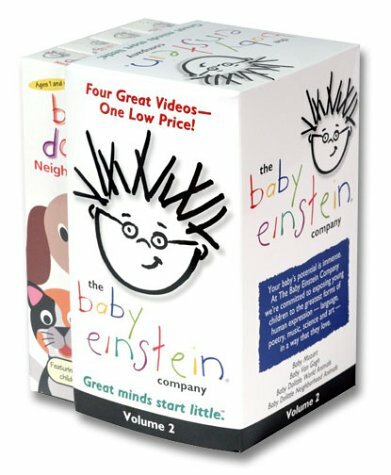 This was the first Baby Einstein DVD we purchased and our son, who was about a year old then and is now 16 months, has enjoyed it very much. He is a very active child but for quite a while he would sit completely still to watch, and now he has hand motions for some of the scenes and applauds at the end. 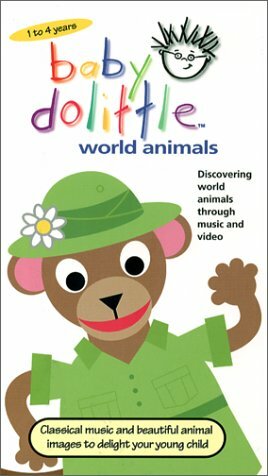 As other people have mentioned, the animal footage is more interesting for an adult to watch than the endless parade of toys that fill up a lot of the other videos in the series (especially the classixal music ones). 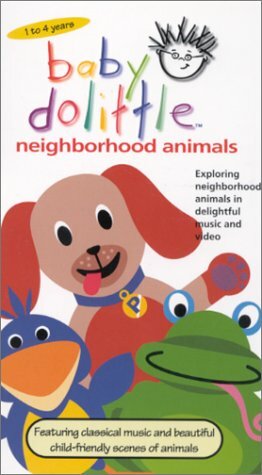 I personally like the quiet atmosphere of the video -- no loud noises, flashy pictures or dialogue -- just animal footage, adorable puppet shows and a small number of toys. My son has learned to recognize the animals shown and even has favorite scenes. Definitely get DVD because the baby will want to watch "continuous play"! I think it's hard to review Baby Einstein videos, because as an adult there are so many things that seem annoying or bothersome that are not so for my child. Yes, I find the kids dressed up in animal costumes annoying, but my son loves them. The puppetry (in this one especially) doesn't make any sense to me either, but my son loves it. 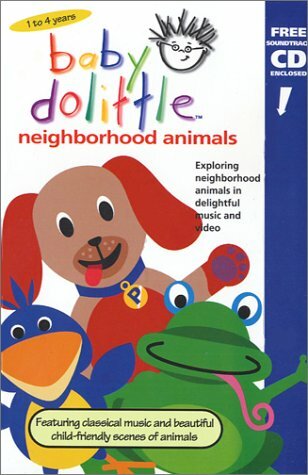 We own 8 various Baby Einstein videos, some DVD and some VHS and my son likes this one as well as all the others. 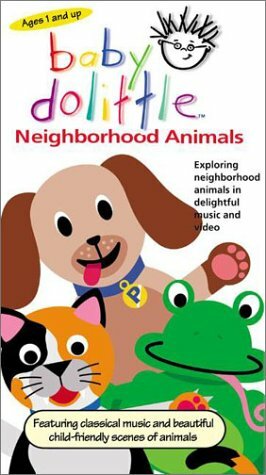 We also own the Neighborhood Animals video and I don't really understand why some reviewers prefer it over this one. They are slightly different, but my son doesn't prefer one of them over the other (at this age anyway). The only thing I've noticed is that he likes to have a variety rather than watch the same one every day (that's how our collection got so big). 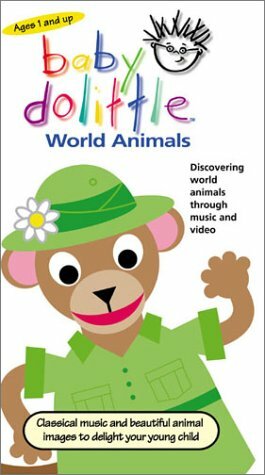 As a parent, I actually enjoy watching World Animals with him more than Neighborhood Animals, because I find the videos of the animals more interesting. While I would prefer to watch a nature special on PBS, my son enjoys the way Baby Einstein breaks up the footage with animation and puppetry (however corny it seems to me), it helps his short attention span out. I do recommend the DVD over the VHS if you are choosing between the two. The DVDs are a much better value in my opinion. We've already begun to wear out our VHS tapes (the sound is garbled in spots now) and I love the interactive flash cards and other extras that come with the DVDs. All in all, my son watches this video over and over again even back to back sometimes and loves every minute. To me that says it all. my dd loves this movie! she danced to all the music and loved seeing the animals. the puppets made her laugh (she just turned one). the colors are wonderful and keep her attention. 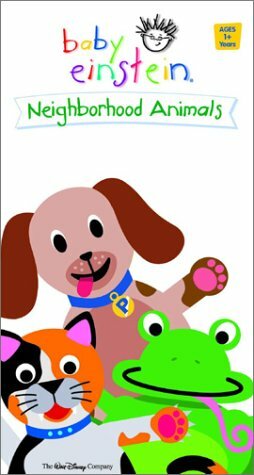 if your child loves animals, then they will love this movie! My little guy, now 13 months, has totally been in-love with this DVD since 3 months of age. His father and I love it, too! The animals and music are fantastic! Triplet 2 year olds have been watching videos from the Baby Einstein series since they were 6 months old. The quality of this one does not measure up to the rest. It seems almost like a 'home-movie'. The sound quality and music selecions are not as good and the visuals are slow. There is not much action and for infants and young toddlers it is difficult to have much reference to what it is they are seeing (ie. that the puppets are reindeer, etc). I think the video should be more self-explanatory in some way so that the 'Christmas-uninitiated' will have more understanding of it. The boys will watch it but are not as captivated by this one as by the others. They seem to get more out of it now though than they did when they were 17 months (at Christmas). 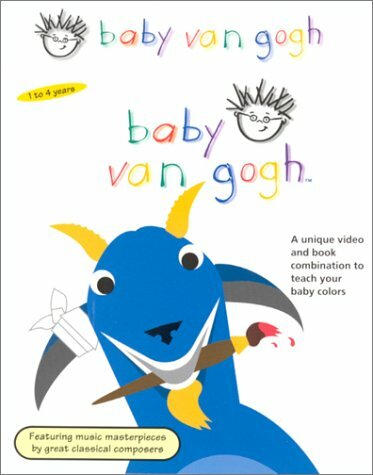 Wonderful addition to the Baby Einstein library! When I heard this was being produced, I could hardly wait for it to come out! It certainly did not disappoint. Of the Baby Einstein series, our 9-month-old seems most interested in Baby Mozart, and after several days of watching Baby Santa's Music Box, she seems just as interested in this one. It holds her attention longer than Baby Einstein, Bach, or Shakespeare (we haven't yet tried Van Gogh). There's a good balance of color, movement, and live action, and the music is varied and fun. It's also just plain festive, and I'm sure we'll play it often as the Christmas season begins. 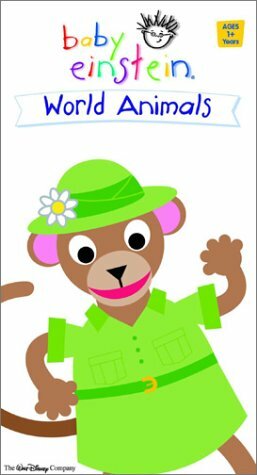 As always, when reviewing Baby Einstein products, I have to make a distinction between what I think and what my kids (now age 20 months) think. Other reviewers have mentioned that it's short, and that they might have picked different songs. I agree, from my own point of view, but my kids are transfixed by this video and absolutely love it. They are at the "word explosion" stage of development right now, so love pointing out all the snow, horses, trains, etc. While I might have liked different songs, they bop to the ones that are here with no problem. All in all, again from the toddler point of view, another successful video from Baby Einstein. I couldn't wait for the holiday season to arrive so that I could play this DVD for my son. He loves the other DVDs in the series, especially Baby Neptune and Baby Galileo. Baby Santa's Music Box on the other hand, is not so well liked...not by my son, my nephews, or myself. In my opinion, it just doesn't seem to live up to it's potential. Think of all the wonderful, amazing, and magical things that go along with Christmas and the holiday season - alot of it is missing from this DVD. Sure, there are some things included that pertain to Christmas on this DVD, but there could have been so much more. To me, most of this DVD looks like just a bunch of random images thrown in to fill up the time. 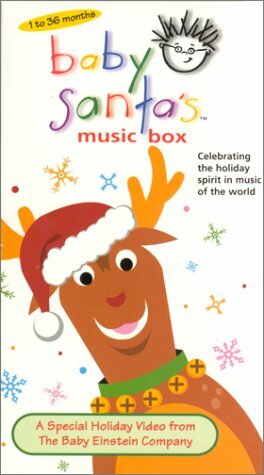 How many times did they really need to have that reindeer puppet pop in and out of gift box? How many irrelevant scenes were included so that Julie Clark's kids could play a part? This DVD could have been so much more, but it misses the mark by a long shot. Don't even get me started on the music. Of all the beautiful Christmas songs available, both secular and non-secular, they could have had a much better selection to say the least. In general, I am sorry I wasted my money on this DVD. Who knows, maybe my next child will want to sit through it. 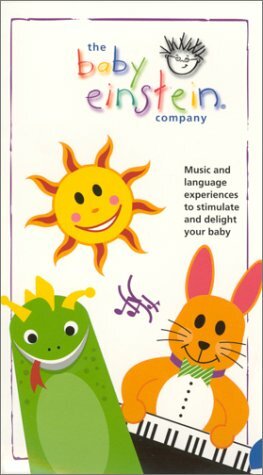 The Baby Einstein Company's "video board books" were designed as music-focused developmental tools to stimulate babies' brains (prompted by researchproving that exposure to classical melodies can improve verbal ability, spatialintelligence, creativity, and memory in youngsters). 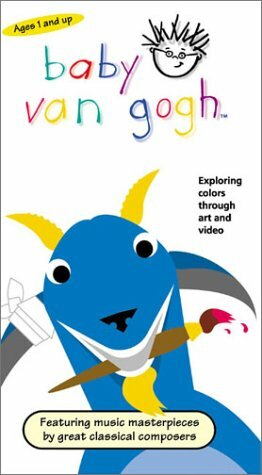 Now the company isexpanding into other art forms, including color and art. The idea remains thesame--taking bold, beautiful objects (toys, puppets, nature scenes) and settingthem to fun renditions of classical music (their recordings are easily the bestin the crowded field of child development). 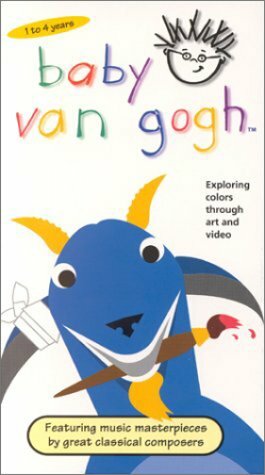 A new puppet--Vincent Van Goat--introduces the six primary colors and associates them with Van Gogh'spaintings--"The Starry Night" for blue, "Wheat Fields with Reaper" for yellow. The only misstep is the poetry written and read by creator Julie Aigner-Clark, which is strongly reminiscent of Dr. Seuss's My Many Colored Days.